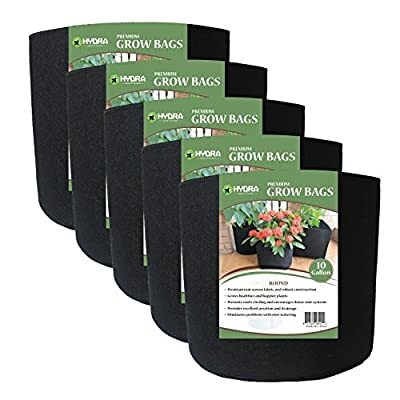 5 PACK - 5 Gallon capacity grow bags. 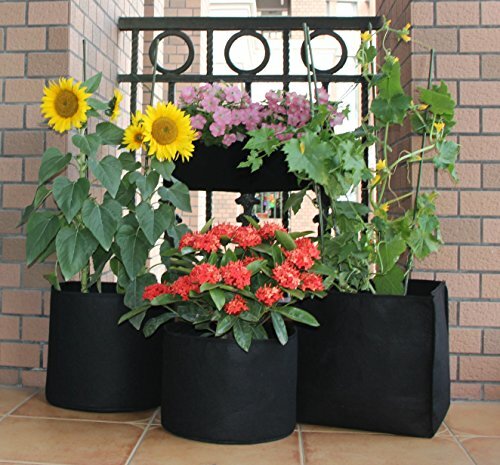 PREMIUM black felt-like fabric pots that are both stylish and functional. QUICK & EASY to setup, relocate, wash and store for future use. 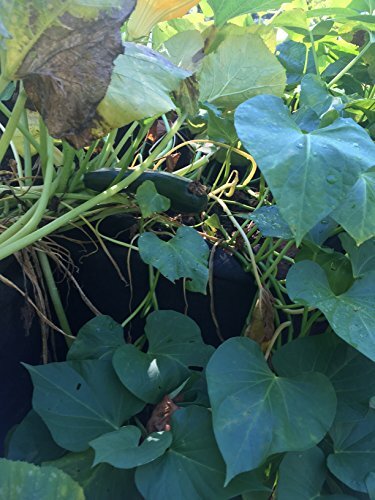 REUSABLE containers durable enough for many seasons use. 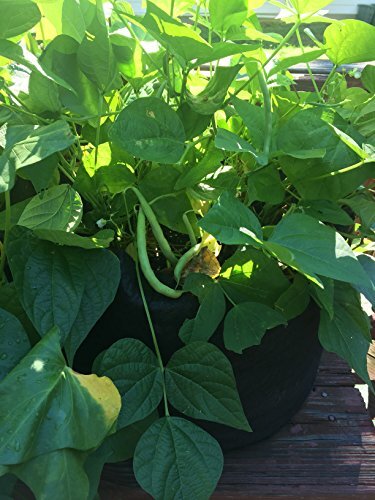 BEST CONTAINER for aeration promoting vigorous plant growth. AIR PRUNING of roots for happy healthy plants. EXCELLENT DRAINAGE eliminating problems with over watering. 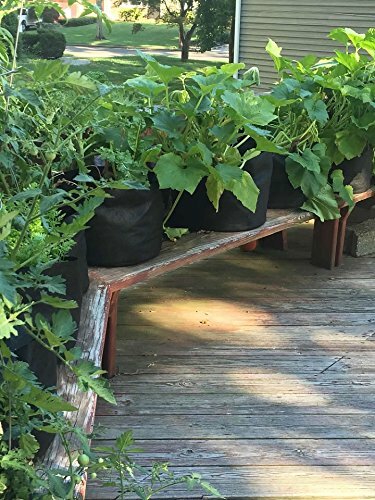 GREAT FOR VEGETABLES like tomatoes, cucumbers, peppers, beans etc, as well as HERBS and FLOWERS. 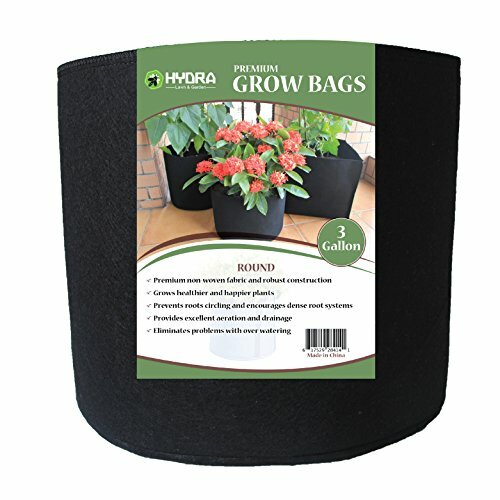 Thank you for supporting our FAMILY OWNED & OPERATED AMERICAN COMPANY PROMOTION: Buy any two Hydra Grow Bags to receive 5% discount at checkout. Buy three or more items for a 10% discount at checkout. No Coupon Required!